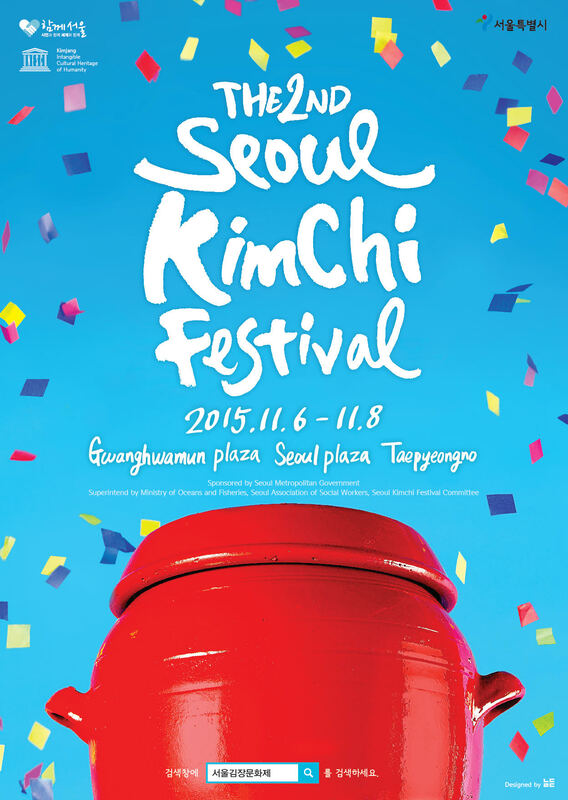 From November 6 to 8, the Seoul Kimchi Making & Sharing Festival will be held in Seoul Plaza and Gwanghwamun Square as well as along Taepyeong-ro under the theme, “Seoul, Let’s Make Kimchi.” The three venues will be transformed into the largest kimchi market in Korea, where visitors can watch and learn about making kimchi, experience the whole kimchi-making process firsthand, and even taste some kimchi all in one place. Specifically, the period from November 6 to 7 has been designated as the “Kimchi Making Festival,” during which time, a total of 6,000 people, including 2,500 foreigners from many different countries, will gather at the 6,000-square-meter Seoul Plaza and make kimchi together. Participants will be allowed to take some of the kimchi home with them, while the rest will be donated to Seoul citizens in need through the Seoul Council on Social Welfare. The event will be a great opportunity to show the world the remarkable generosity and hospitality that Koreans are known for. The last day of the festival, November 8, will be the “Kimchi Making Cabbage Festival.” A huge field of 5,000 heads of cabbage will be planted in the middle of the city, taking up about half of Seoul Plaza, and through a game to harvest the cabbage, participants will experience firsthand the spirit of hard work, cooperation, and harmony involved in making kimchi. After the event, the harvested heads of cabbage may be taken home or donated. At Gwanghwamun Square, visitors will also have the opportunity to enjoy an exhibition and various experience programs, held in connection with the Seoul Kimchi Making & Sharing Festival, which hopes to keep the tradition and culture of kimchi-making alive. Using the culture of kimchi-making as a window into the past, the exhibition will provide insight into the wisdom of ancient Koreans, and kimchi classes will offer people a chance to learn about unique kimchi recipes from kimchi-making masters.